To sell on a Facebook Shop, you first need a dedicated Facebook page for your business (not your personal page). Then, manage your page through the Facebook Business Manager tool. Next, either connect your ecommerce platform to Facebook or upload your product category manually. Finally, you can start selling on Facebook through your Facebook Shop. Using an ecommerce platform like BigCommerce makes it easy to sell on Facebook because you can easily sync your product catalog, manage sales, inventory, customers, and orders in one place. BigCommerce is one of our recommended ecommerce platforms for selling on Facebook. It starts at just $29.95/month, making it an affordable option that will integrate with all of your sales channels. Start a free 15-day trial. To set up a Facebook Shop, you’ll need to create a free Facebook Page for your business. You can’t create a Facebook Shop in a personal Facebook account. The Facebook Shop feature is only available on Pages. It gives your customers a way to find your business and follow your professional posts. It gives you a huge array of free marketing opportunities. It offers a wide variety of budget-minded advertising tools. It lets you sell your products directly to Facebook’s huge audience of more than 1.7 billion users right from your Facebook page. Don’t already have a Facebook page for your business? Or does yours need a makeover so your business really shines? See how to set up a powerhouse small business page in our Facebook Step-by-Step Guide. 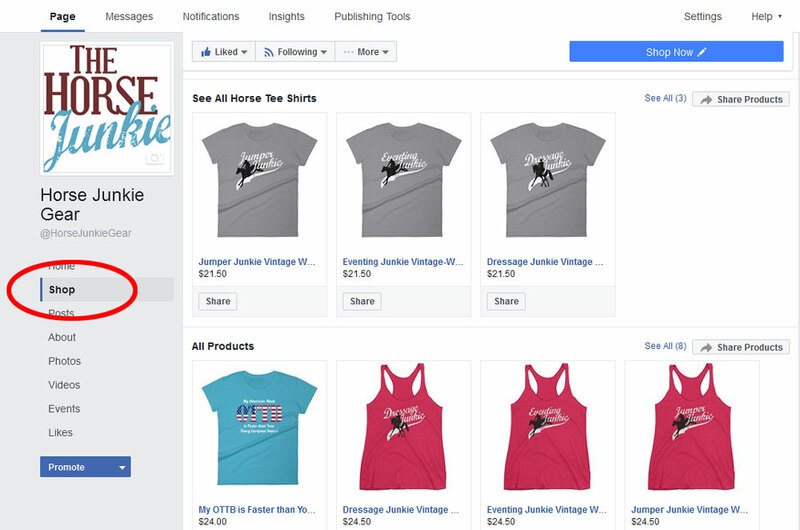 Once your business Facebook page is complete, it’s time to create your Facebook Shop. For that, you’ll need a way to list products and accept orders and payments through Facebook. The best way to do this is with a Facebook-friendly ecommerce platform. Let’s look at some top choices. Once you get your Facebook Shop in place, your Facebook marketing and advertising deserves some real attention. Lucky for you we put together this cheat sheet to help you drive traffic to your store in no time. 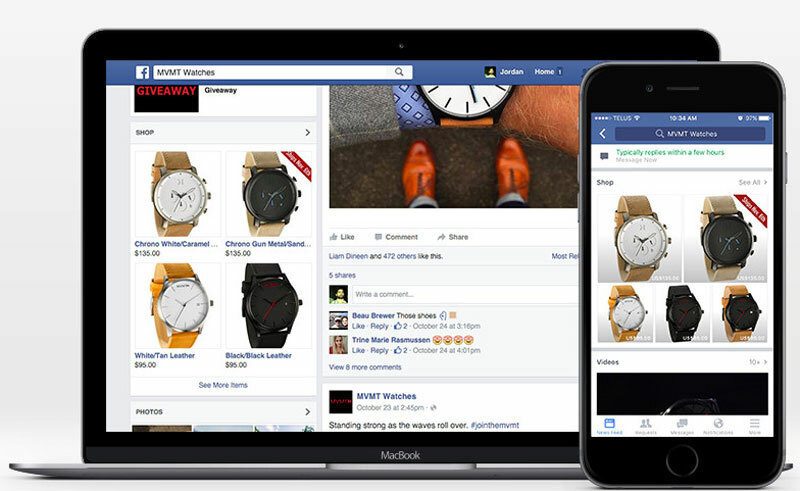 Facebook offers a complete in-app shopping experience via the fully integrated Facebook Shop. There are two options for selling on a Facebook Shop. If you already use an ecommerce platform such as BigCommerce or Shopify, you can connect your account to Facebook and sync your products. If you do not use an ecommerce platform, you can upload and manage products onto Facebook directly for free. Let’s take a closer look at both of these options. You can enter products for sale directly to your Facebook Shop for free. Facebook has clear instructions that walk you through every step, including how to connect payment providers. For payments, you have the choice of PayPal or Stripe. Is Managing Facebook Shop Manually Right for You? If you sell just a few items and/or only want to sell through a Facebook Shop, this might be all you need. The benefit is that it costs you nothing to add a shop and enter as many products as you wish. 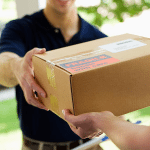 One downside is that you have to manually manage orders, and this can be time-consuming if you move a lot of product. You’ll have to log into Facebook to process and manage orders one by one. You also have to manually mark orders as shipped. Another downside is that you can only sell your products on Facebook. So, you’ll spend time entering products and have no other sales outlets. The ecommerce platform option, listed in #2 below, gives you many more selling opportunities, plus a suite of time-saving order management tools. Let’s explore them now. Top ecommerce platforms like Shopify, Ecwid, and BigCommerce let you list and sell products on a Facebook Shop, plus many other places if you wish. What these platforms offer over the Facebook-only option is a full suite of product listing, automated order, and shipping management tools designed to save you time. But that’s not all. Time-saving benefits aside, the biggest plus is that you can sell just about anywhere using an ecommerce platform: your own website, Amazon, eBay, Pinterest, blog posts, and more. Going this route, the time you spend entering products into a selling system can deliver returns far beyond Facebook. Even if you don’t want start your own website or sell on places like eBay or Amazon at first, the option is there if/when the time comes. Is Using an Ecommerce Platform Right for You? If selling online is a priority, you need to extend your reach beyond the Facebook audience. Ecommerce platforms let you do just that. They also make every ecommerce task as quick and automated as possible, from product entry to shipping updates. Plus if you ship, or hope to ship, more than 10 orders per day, you really should consider this time-saving option. The downside is cost. In most cases, you’ll need a monthly paid account with an ecommerce provider like Shopify, BigCommerce, or many others. However there are free options with providers like Ecwid and Spreesy, which we’ll detail below. So, we’ve covered the two primary ways you can list products to sell on a Facebook Shop: entering items directly to Facebook, or using an ecommerce platform to do this for you. If the ecommerce platform option sounds like the right fit, read on to see our comparisons of several top providers. But if working directly with Facebook Shop is right for you, skip down to Step 5 to see how you can market your products once your Shop is live. Shopify, BigCommerce, and Ecwid are top names in ecommerce, and all connect seamlessly to Facebook Shop. But they aren’t the only ones. If you already sell online, there’s a good chance your online store provider integrates with Facebook Shop, too. If they do, you just need to follow their instructions to connect your store listings to your Facebook page. Then you can skip to Step 5 in this guide to see ways to market your products on Facebook and grow your shop. First, let’s take a look at your lowest-cost ecommerce platform options. These let you quickly launch a Facebook Shop for minimal costs, plus sell on other social media sites and online marketplaces if you wish. A few even support a website at the listed prices. Again, there are plenty of ecommerce platforms that integrate with a Facebook Shop. Those we discussed above are our top picks for free or low-cost Facebook Shop options. Other ecommerce platforms include it in their standard, and generally more expensive, online store plans. If you’re looking to launch a Facebook Shop with a stand-alone website from the get-go, you’ll want to consider the following full-featured ecommerce store platform plans. You can see a more detailed comparison in our article on best ecommerce platforms. Once you’ve settled on an ecommerce solution for your Facebook Shop, it’s time to create your listings and take your store live. Each ecommerce platform listed above makes it quite easy to enter product information and images, plus set up payment methods, shipping rates, and store information. But they all do it a bit differently. We won’t cover each in detail here since every platform we list provides terrific startup tutorials that walk you through every step. Instead, we’ll cover the basic information that you’ll use to create your product listings and store information pages, no matter the platform. Having this organized and ready beforehand makes the process of building your Facebook Shop listings quick and easy. Then we’ll cover a few final steps to complete in your Facebook admin screen once your Shop is live. But first, if you’re completely new to online selling, check out our article How to Start an Online Store. It covers everything you need to know to start selling on any website and on Facebook. A fancy camera or professional photography is not necessary to have great product photos. See how to capture great product images on your cell phone with our article on product photos made easy. Don’t be shy when describing your products. Good descriptions should be chock-full of details that sell your product, plus any sizing, measurements, weights, or other necessary details. These numbers can be entered with your product information in most ecommerce systems so you can print accurate shipping labels. It’s optional, but can be useful. These are the numbers or product codes you use to track products in your online store. Not sure how to set product SKUs up to track your inventory? Learn how with our article on SKU numbers. You’ll also need to put together four pieces of store information to let customers know what to expect when they order from you. You can create one page or several in your online store to display this information. Email only? Email and phone? And don’t forget to list your customer service times here, too. You’ll set up shipping rates in your store dashboard, but it’s nice to have a page that lists them so customers can see what you charge for shipping. Brag a little about how you got started and what got you where you are today. This is a branding opportunity and a time to make your customer’s purchase more personal. Once you have this information gathered, it’s time to enter it into your ecommerce platform. If you’re using Shopify to Sell on Facebook, you just have to sync with Facebook from the dashboard of your Shopify account. Log in to your account and follow their getting started tutorial to set up your store information and product listing pages. Then visit their online support page for the Connect to Facebook Shop instructions. Again, each ecommerce platform handles store set up a bit differently. But every one that we list above offers a complete step-by-step guide that leads you through the entire process. You can see how each works by clicking on the get started links provided in the tables above. After all of the above is complete, and your Shop section appears, you probably won’t see your products immediately. Don’t panic. Facebook reviews all new Shops to make sure images and content meet Facebook Shop guidelines. Basically, the guidelines state that you need images and accurate descriptions for each product. Once your products are approved and live, you’re ready to start selling. Now let’s explore ways to promote your shop, grow your Facebook audience, and make some sales. There’s one really nice thing about having your products listed for sale in your Facebook Shop: Your products and potential customers are already there! Your Facebook Shop products are primed and ready for promotion to your Facebook followers and countless potential customers. With your products already housed on Facebook, you can easily and quickly select certain products or groups of products to promote via Facebook posts and ads. Plus, your viewers don’t have to leave your Facebook page to learn more about your products or make a purchase. This increased engagement within Facebook leads to more sales for many Facebook Shop owners. This is why Facebook Shop is fast becoming a favorite sales channel for online sellers, big and small. Feature products and specials via boosted posts, which are regular posts that, for a small fee, can reach large, targeted audiences. Distribute offers and host contests to engage your audience and attract new viewers to your page and Facebook Shop products. In fact, with your Facebook Shop in place, your Facebook marketing and advertising deserves some real attention. The first step is marketing your small business on Facebook for free. Then, start exploring Facebook’s Paid Advertising opportunities to give your business maximum exposure for a relatively small investment. Learning how to sell on Facebook Shop is a relatively straightforward process. However, there are certain considerations on the types of products to sell. Plus, Facebook is constantly adding new tools and services—it can be hard to tell what is right for your business. If you don’t see your question below, ask us in our Fit Small Business forum. How Do I Sell on Facebook Marketplace? To sell on Facebook Marketplace, visit www.Facebook.com/marketplace and click “Sell Something” on the top left. To sell on Marketplace, you don’t need a Facebook business page, just a personal account. 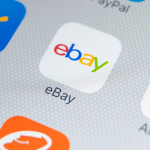 Facebook Marketplace is more of an online tag sale or Craigslist alternative for individuals who want to sell specific items such as used clothing, cars, and housing rentals. If you are a business, it’s recommended that you use Facebook Shop. What Is the Difference Between Facebook Shop & Facebook Marketplace? Facebook Shop is a section of your professional Facebook Business page, where customers can browse your catalog and purchase products. Facebook Marketplace is meant for individuals as a virtual tag sale to sell used items, list apartments for rent, and sell used cars. With Facebook Marketplace, you have to upload each item for sale individually. With Facebook Shop, you can connect with an ecommerce platform that makes it easier to sell multiples of the same item and integrate with your other sales channels. What Are the Risks of Selling on Facebook? The risks of selling on Facebook are relatively minimal, especially if you create a Facebook Shop, because your product catalog will go through an approval process before being posted. The biggest issue sellers run into on Facebook is selling counterfeit or trademarked items through Facebook Marketplace, which can result in the suspension of your personal Facebook account. As long as you are selling your own products, there is nothing to worry about. What Products Can I Sell on Facebook? There are a few guidelines on what you can and cannot sell on Facebook. First, it has to be a physical product, not a “in search of” post (e.g., services or event tickets). You also cannot sell any healthcare-related items, even basic supplies like first aid kits. Facebook also does not allow animals to be sold on its platform. As a best practice, your items need to match their photos and descriptions, you cannot use “before and after” photos to advertise weight loss products, and you cannot violate any trademark laws (such as using a copyrighted logo). Facebook Business Manager is a free tool by Facebook that allows businesses to manage their page, advertisements, posts, and products in one place. Facebook Business manager is a great tool if you have multiple employees who need access to your business page, or if you manage multiple Facebook Business pages. Can I Use Facebook Shop to Sell on Instagram? Yes! In order to sell products directly through Instagram, you need to have a connected Facebook Business page with an approved product catalog. So, if you already sell on a Facebook Shop, connect your business Instagram account and your products will also be available to link on posts to your Instagram Feed and Story. Selling products directly to your Facebook audience isn’t hard to do using the Shop feature included with every free Facebook business page. Top online store platforms that integrate seamlessly with Facebook, such as BigCommerce, offer the easiest Facebook Shop solution, especially if you’re new to ecommerce. They make the product listing, selling, and order management process a breeze. Then, with the ecommerce side neatly handled, you’ll have plenty of time to focus on Facebook’s many free and paid marketing opportunities to promote your Shop. With a solid ecommerce platform and a good marketing plan, you’ll start to see your Facebook audience grow and, more importantly, start making sales. Using an ecommerce platform is recommended for businesses selling products on a Facebook Shop, and is all but necessary for businesses selling on multiple channels, such as Facebook, Amazon, Google, and through your own website. BigCommerce is a great ecommerce platform that makes it easy to manage multiple sales channels, saving you a great deal of time for as little as $29.95 per month. Try it free today. Hi. I work for a non profit and would like to sell items via our FB shop. But I don’t want to ship items, our supporters generally don’t mind picking things up from our location. Is there a way to set up our shop so we don’t have to ship items? It doesn’t seem to be possible, but I wanted to check if you know of a way. Thank you! That’s a good question. Facebook Shop is really designed for shipping orders. So if you’re just doing local sales I might recommend selling through regular Facebook posts and link over to your website where they can purchase. The other option is trying Facebook Marketplace. Marketplace is really designed more for individuals selling one-off products, but may work for your needs. 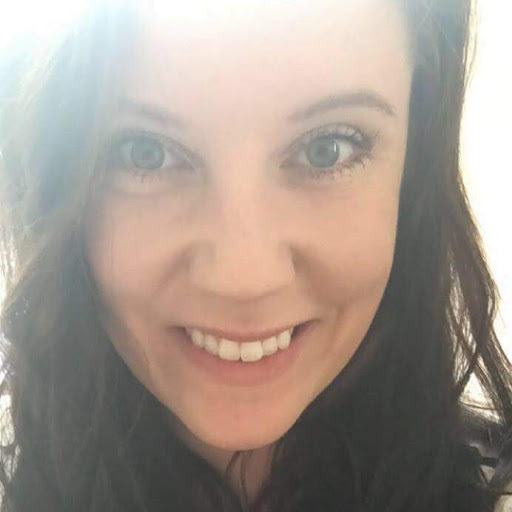 Hello, I would like to sell CBD Hemp Oil on Facebook. It is not a Multi-Level! And not something I have made. I was wondering if that would be ok, or would it be again’st facebook policy, I cannot find any information on it. Thank You. If it’s not controlled it should be ok, but I’d definitely check into the legalities first. Search for Facebook Shops terms of service and allowed/disallowed products. I hope this helps, good luck! Are people more apt to purchase directly from your Facebook shop or a website? Good question! Facebook’s 2017 stats report that roughly 26% of Facebook users that click on a sponsored posts complete the transaction. That’s a really impressive conversion rate from clicks, and don’t forget, Facebook is still far and away the #1 social media app, especially among older users with more income. By listing your products on a Facebook Shop, it’s very easy to continually post and promote products. With so many carts, Shopify, WordPress, Volusion, and many others, cleanly feeding products to a Facebook Shop — for free — it just makes sense to include this as a sales channel. I hope this answers your question, good luck! Totally new to having my own website. I have a domain through Google and would like to keep it. I really don’t like the idea of being restricted to one selling venue. I ran a very successful shop on Etsy, but because I sell Persian carpets they shut me down. I would like a site that is easy to use, yet have marketing options. You really can’t go wrong with either a WordPress/WooCommerce or Shopify site to create your own online store. Try both out to see which is the better fit for you. Hello, need a lot of help. We’re just starting out our own business and desperately need to increase our sales. Is there any possibility that someone from your team contact me over the phone please. Thank you in advance and looking forward to hear back from you blessings for all. However, perhaps you can find a freelancer willing to help you over the phone or even set up your Facebook marketing for you. Freelance websites like Fiverr, offer consulting for as low as $5!